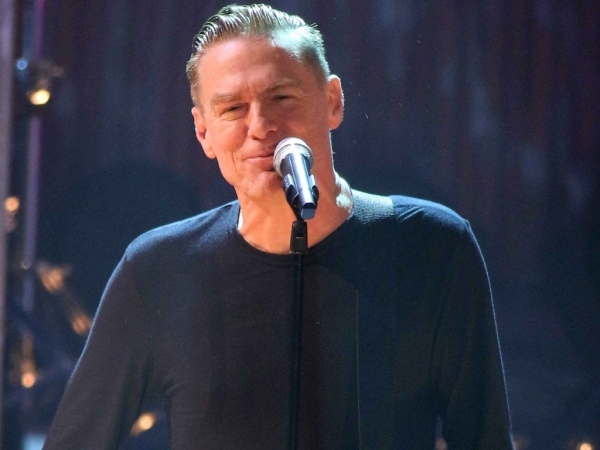 Bryan Adams' 'hippy hair' held him back! Bryan Adams couldn’t get a job when he was a teenager because of his long hair. The 54-year-old singer has a new album of cover versions out, called Tracks of My Years. The cover boasts a photograph of the star when he was growing up, and Bryan is seen with a full head of wavy hair which falls past his shoulders. “Yes, that’s me wanting to be in a rock band when I was 15,” he laughed to Chicago Sun-Times. “That was my own hair. I couldn’t get a job because of that hair. Nobody wanted to hire a hippy. Nowadays they’re like, ‘Sign up right here!’” Bryan’s hit Run to You has been covered by younger star Ryan Adams, who endured years of people getting confused about the two at his concerts. Bryan is in awe of the way Ryan has handled that. As well as being a musician, Bryan is a successful photographer. He’s been published in Vogue, Harper’s Bazaar and Interview magazine and sees many parallels between his two careers.